Today I needed to be a re-potting crazy man and managed to get all of this year’s re-potting done minus one tree! 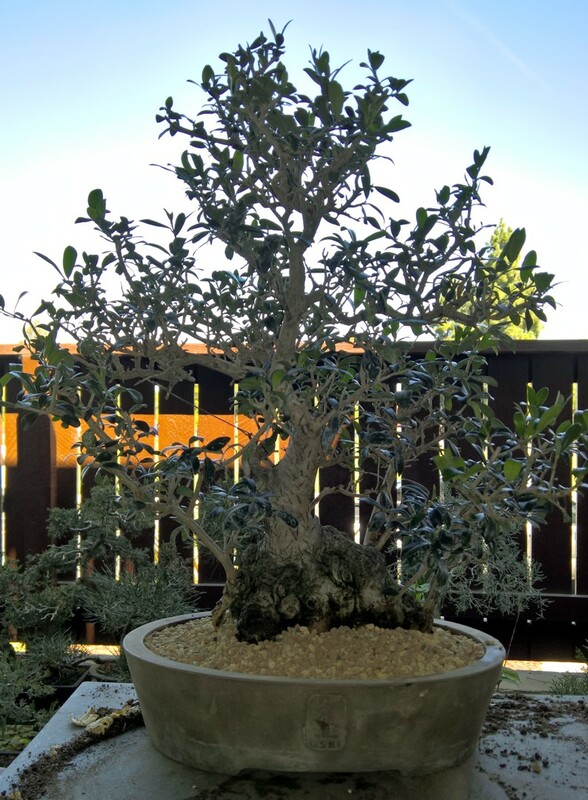 I had not re-potted some of the olives for over 5 years as I was more concerned with creating good roots and styling foliage. This could not last another year. With the great temperatures all the olives have been pushing aggressive new growth. 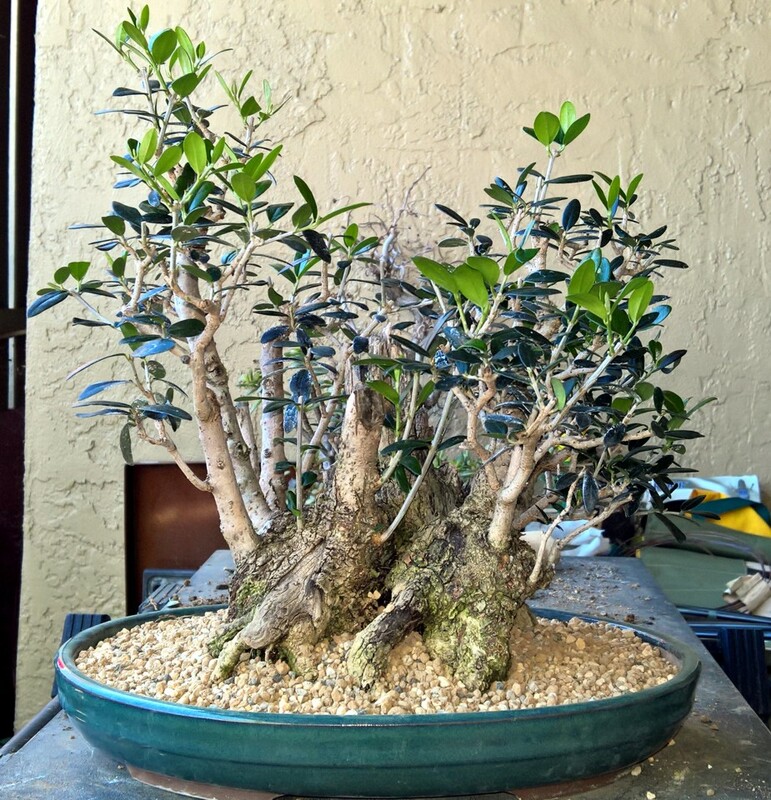 Along with the olives I had trees in grow pots or containers that need to move to office bonsai pots, tropical trees that needed refinement before I could to my special exhibit at our club show in May, and some overdue trees. 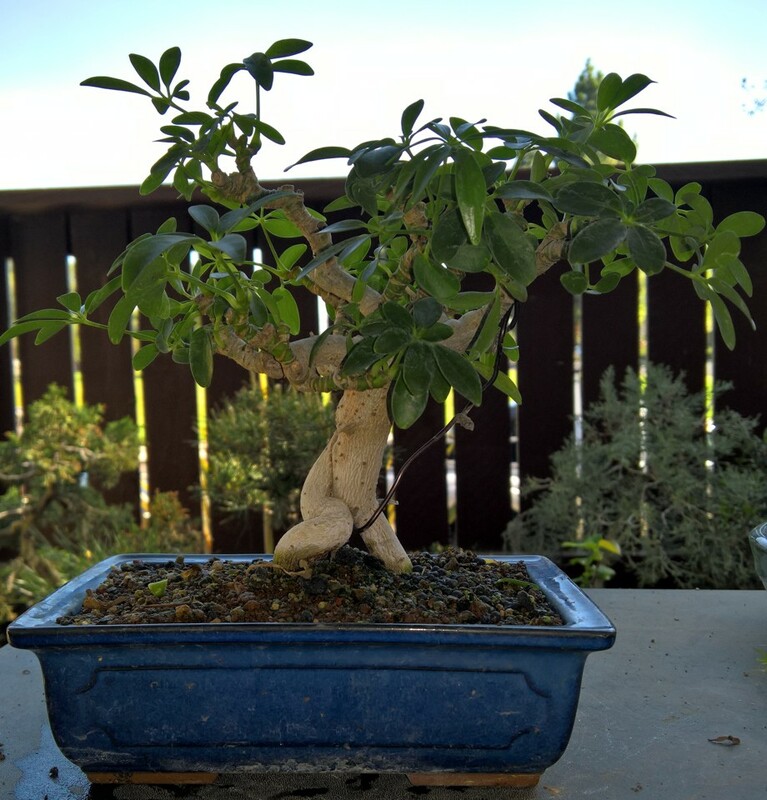 I worked on 2 Schefflera that is coming along nicely, a western fig that received its (every 4 years) hair cut, a dwarf bottle brush that finally need to go into a bonsai grow pot. 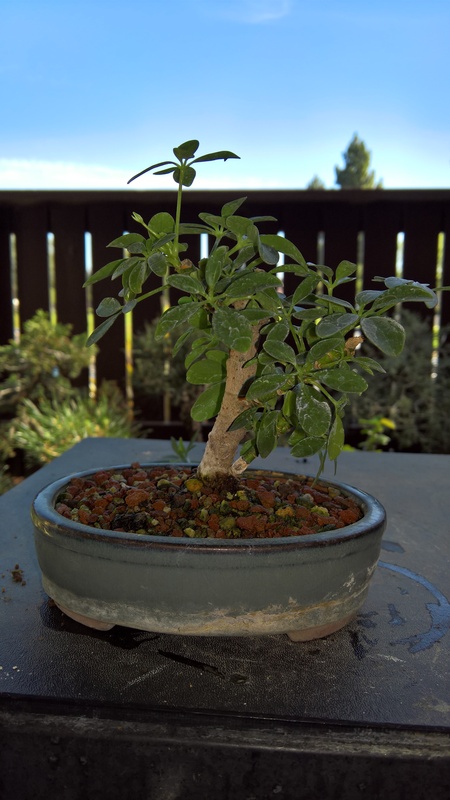 Bottlebrush after re-potting in bonsai grow pot. 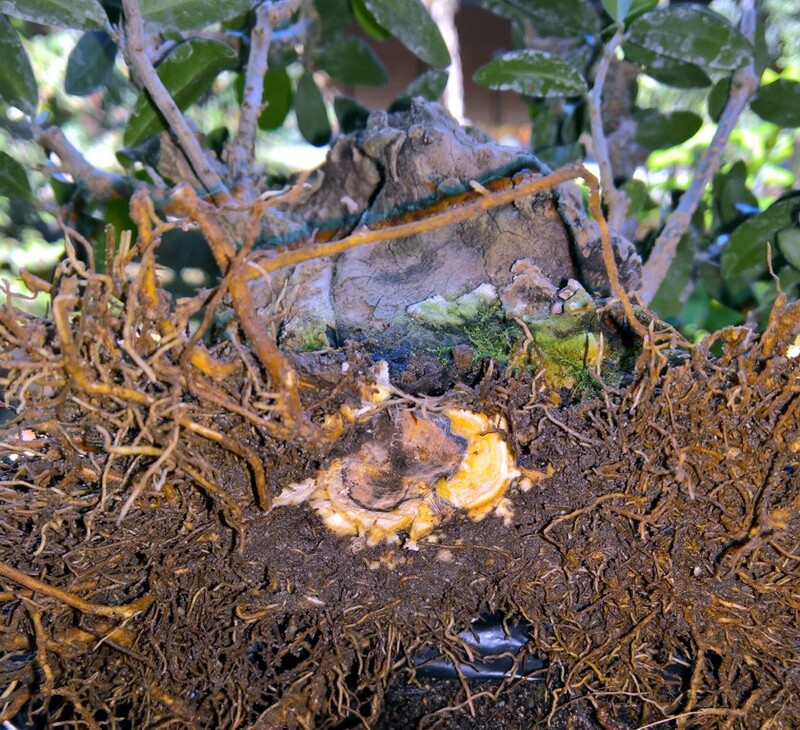 Western Fig after branch reduction. Bottlebrush staging for tie-down. 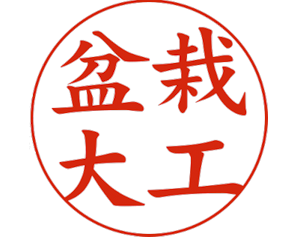 Chopsticks used to protect roots. Bottlebrush from nursery. 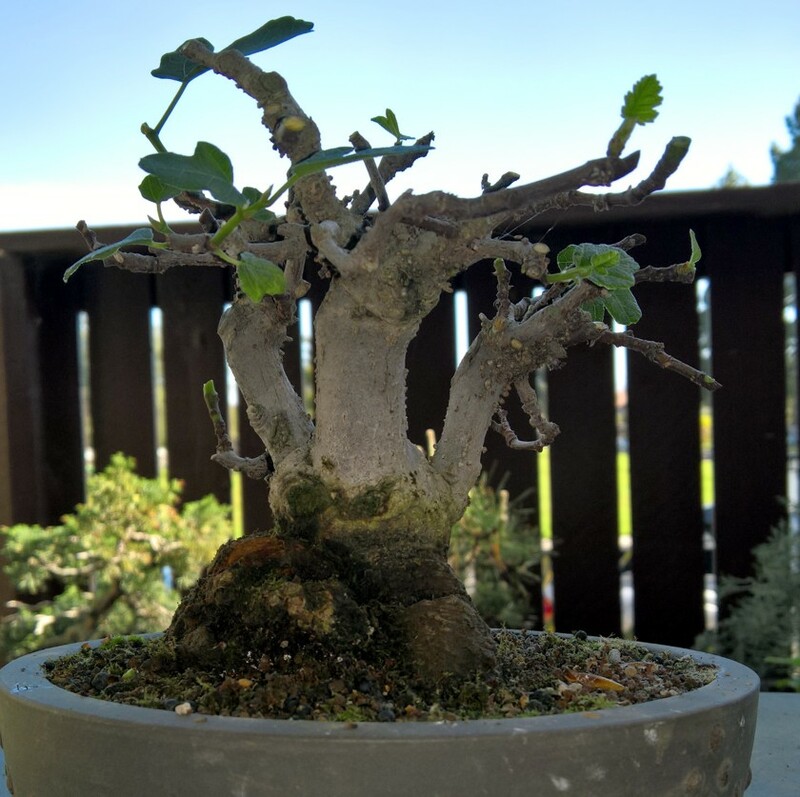 It has been growing a few years to develop branches. Schefflera branch work. Foliage reduction had gone well. Another little Schefflera cut back in demonstration last fall is developing nicely. I then began my work on the olives. Some of the olives required considerable root work. 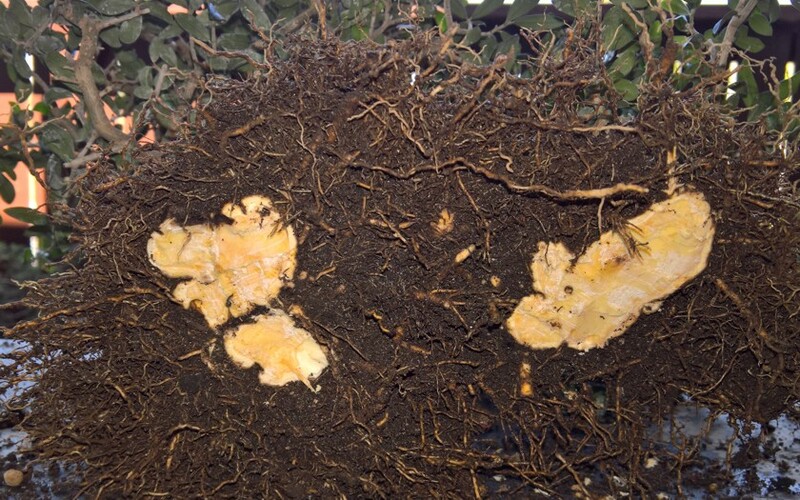 They had developed excellent root and now needed to be lowered down into new pots. Sometimes larger hard wood areas had to be removed and chiseled away. 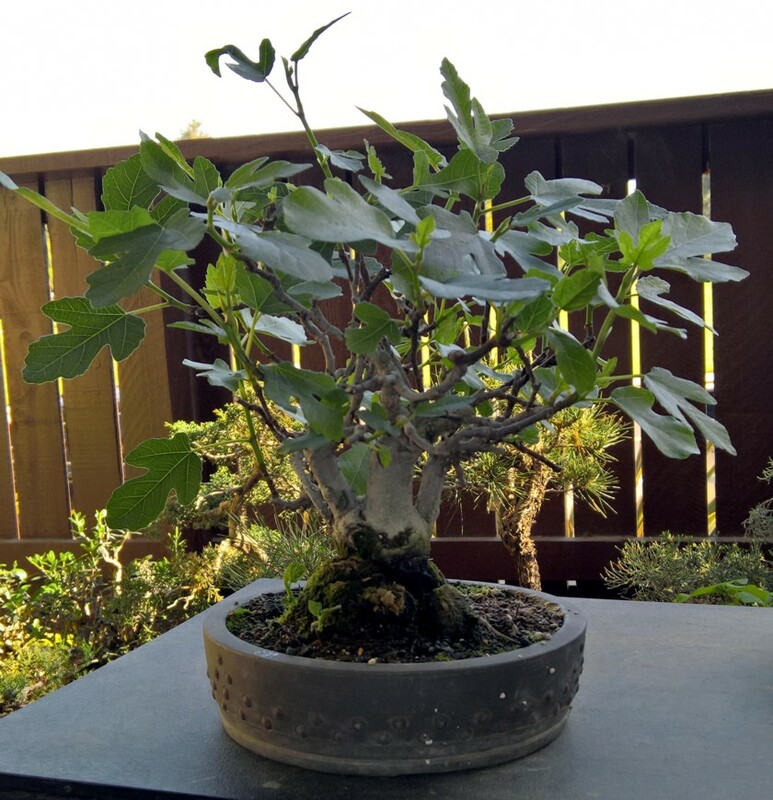 I staged each tree with several new pots to find the ones that will work the best. 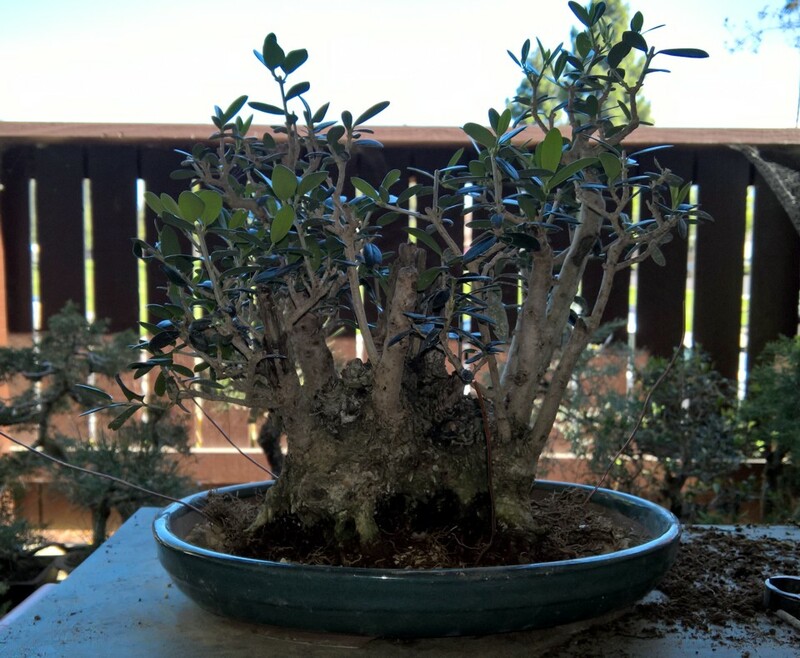 Olive clump in new pot. The pot is a Jim Barret award port from GSBF and shows off this tree nicely. 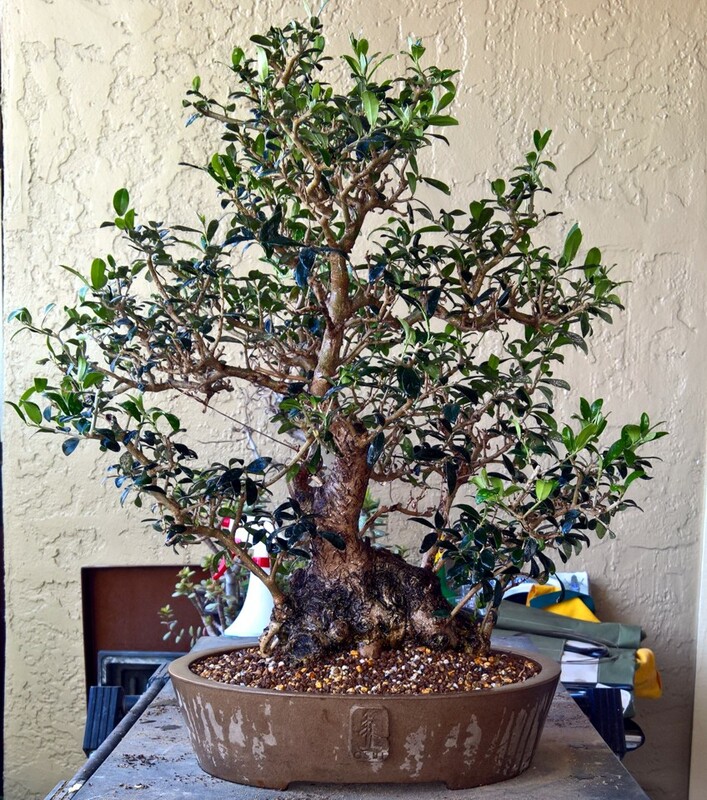 Olive after re-potting. It remained in its original pot. 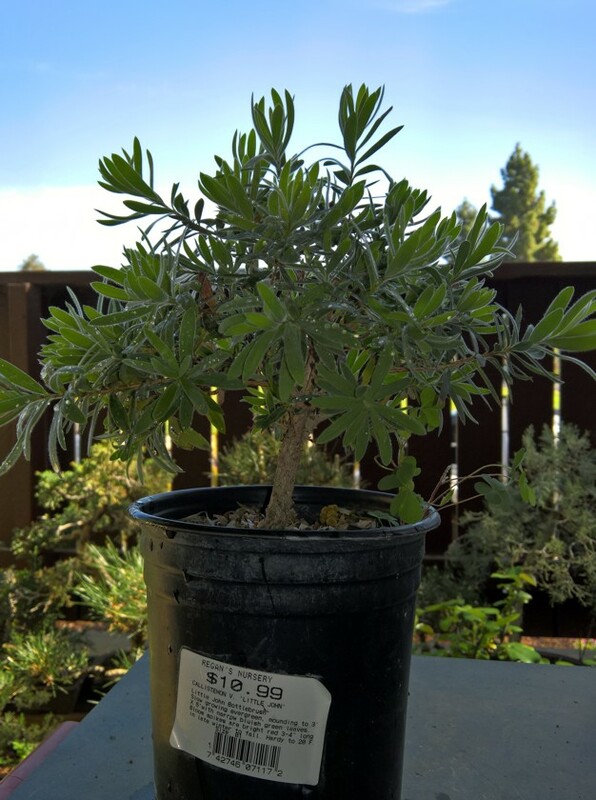 Now it will need to grow and recover some nice foliage. Staging clump with its new pot. Olive clump used to be 6 feet tall!. It has reduced this this and is now in a new pot. Time to develop a new canopy. 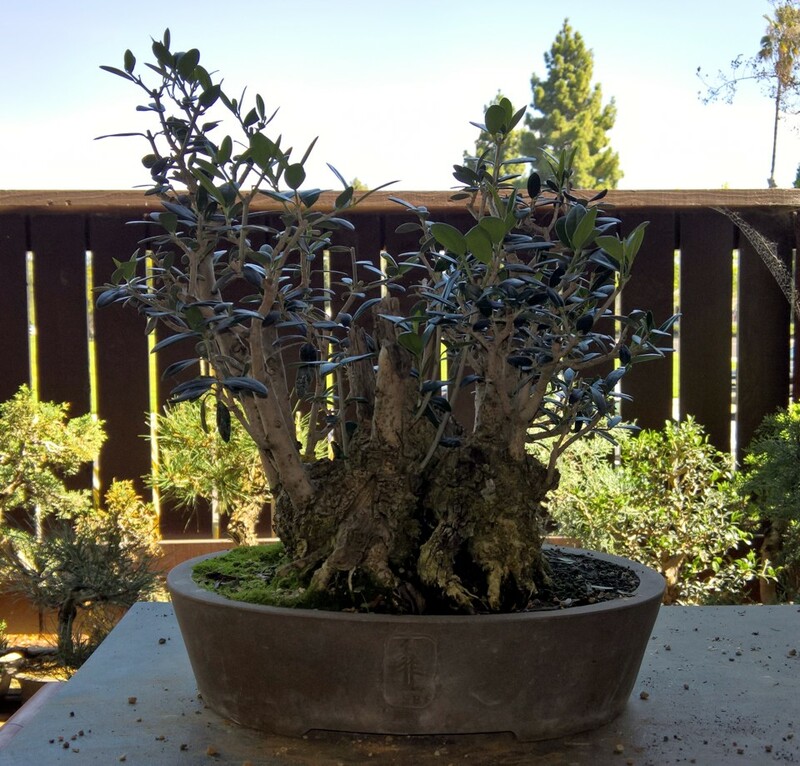 Staging olive clump in new pot. 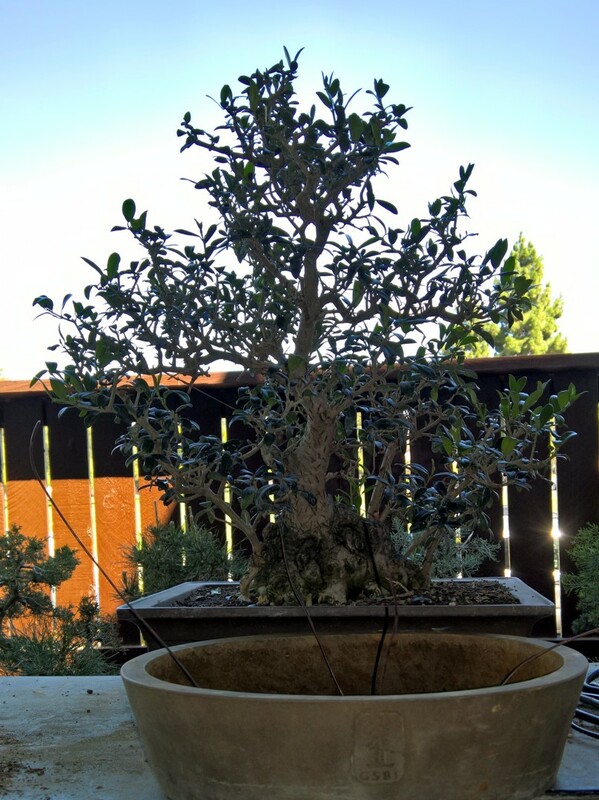 Olive clump in original pot. 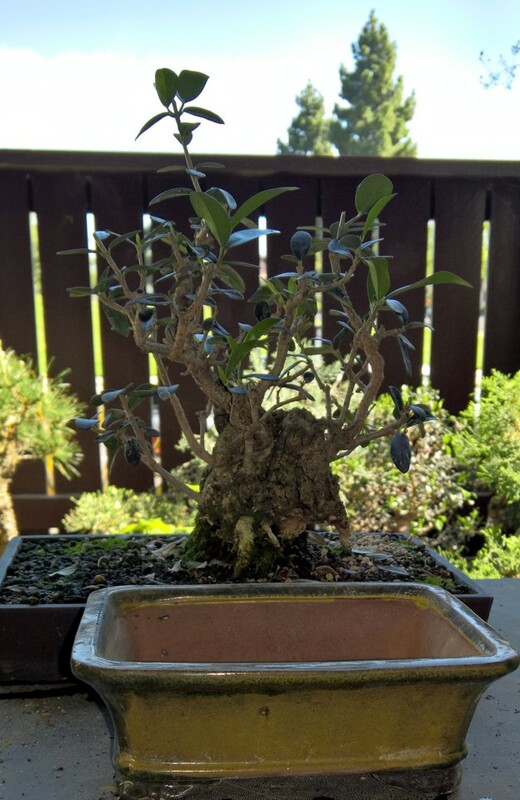 It had been in this pot for 5 years and needed a change. 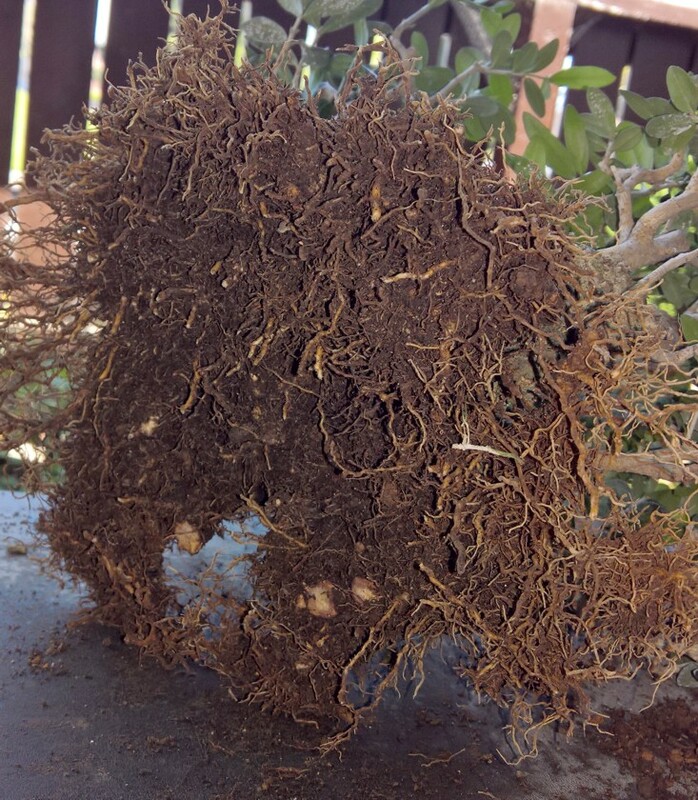 Olive clump root mass was healthy and tight. 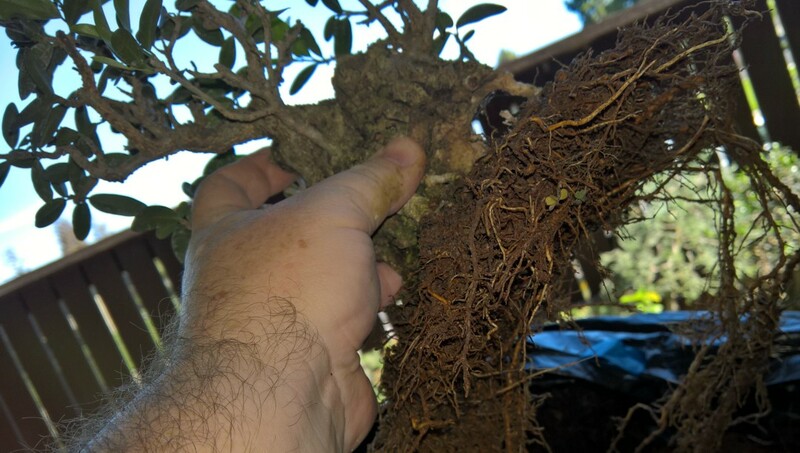 Olive clump after root pruning. 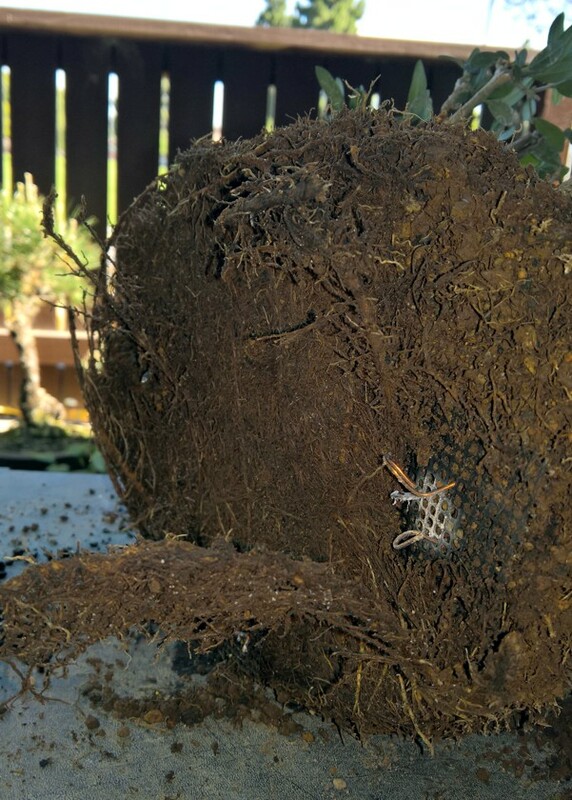 The tall clump required considerable hardwood removal to seat in the pot at the correct height. 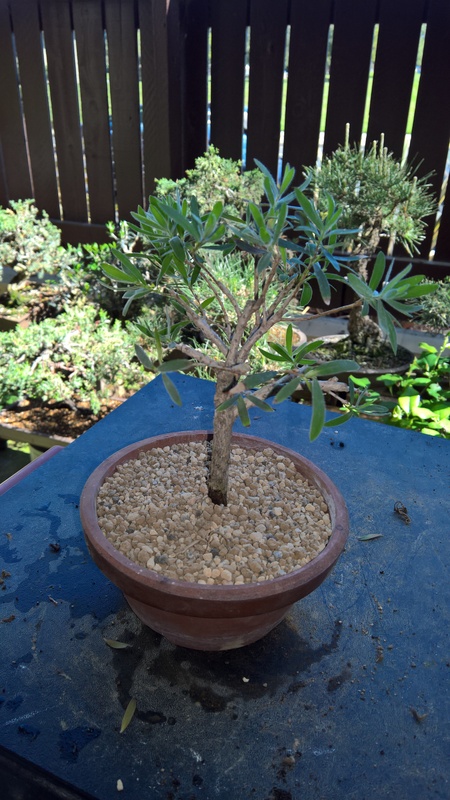 Small olive clump after re-potting and branch reduction. 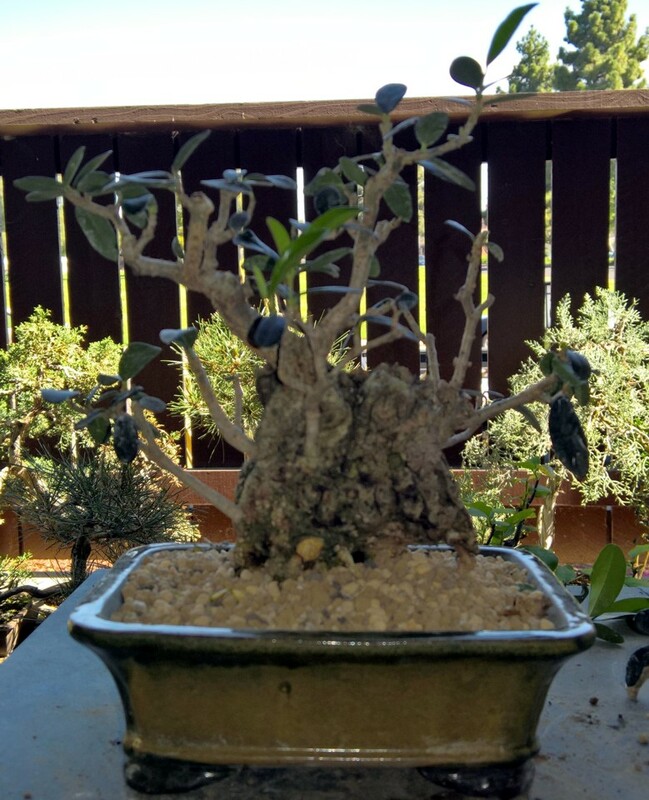 Staging small olive clump with new pot. 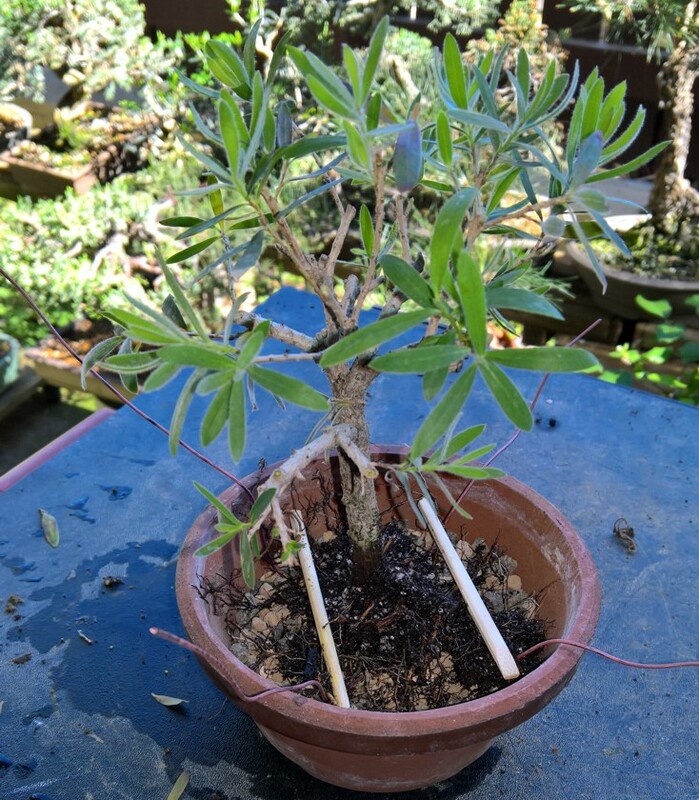 Little olive clump had developed great roots over the years. 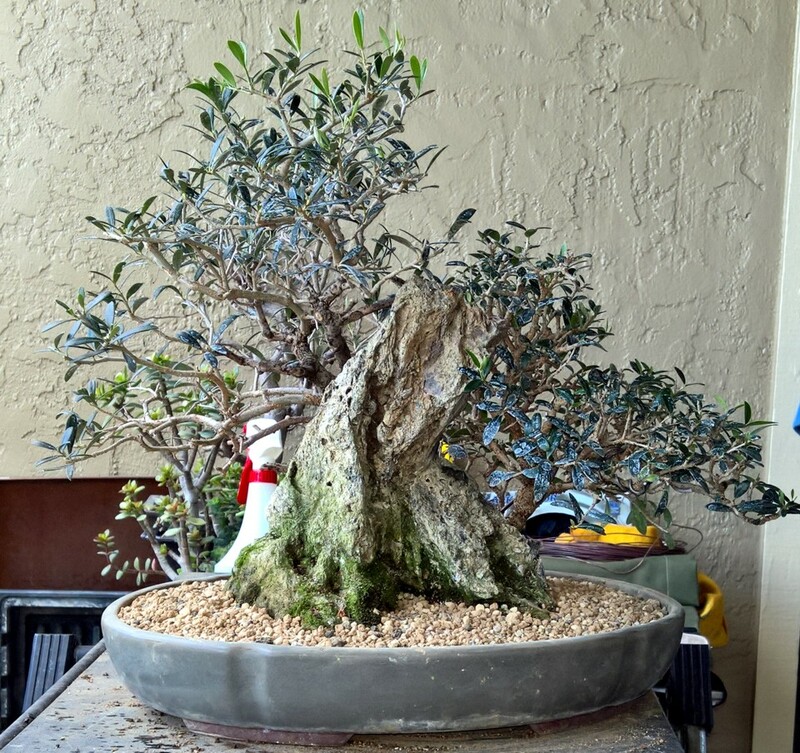 The little olive clump also required considerable hardwood removal to seat in the pot.